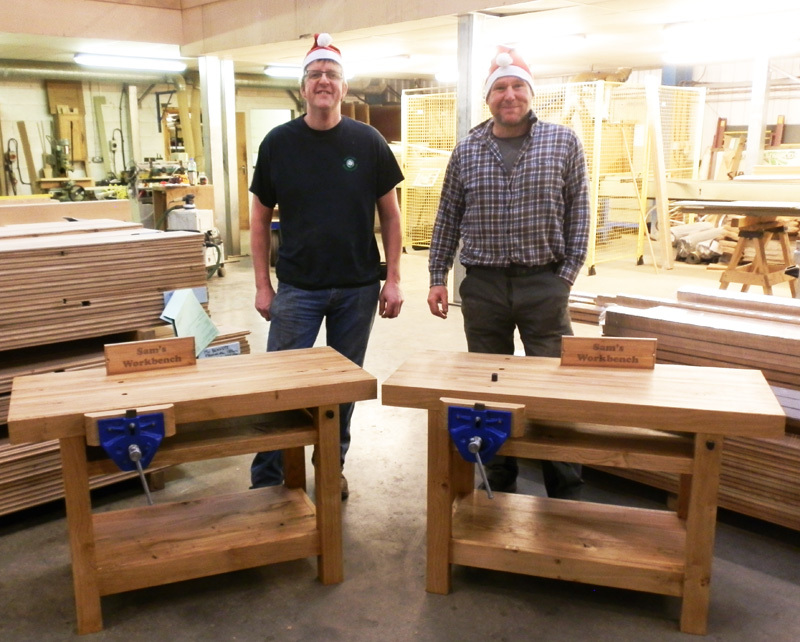 This entry was posted on December 19, 2013 by Jo L.
Just in time for Christmas, Managing Director Tony and Flooring Supervisor Jason have completed two very important Christmas presents. Coincidentally, Tony and Jason both have boys called Sam, born in the same year. Like most boys their age, they love hammering and nailing and working with tools (just like Daddy!). Surrounded by a factory of full of kiln-dried hardwoods, Tony and Jason were not short of materials, or the skills, to make these superb solid oak benches. 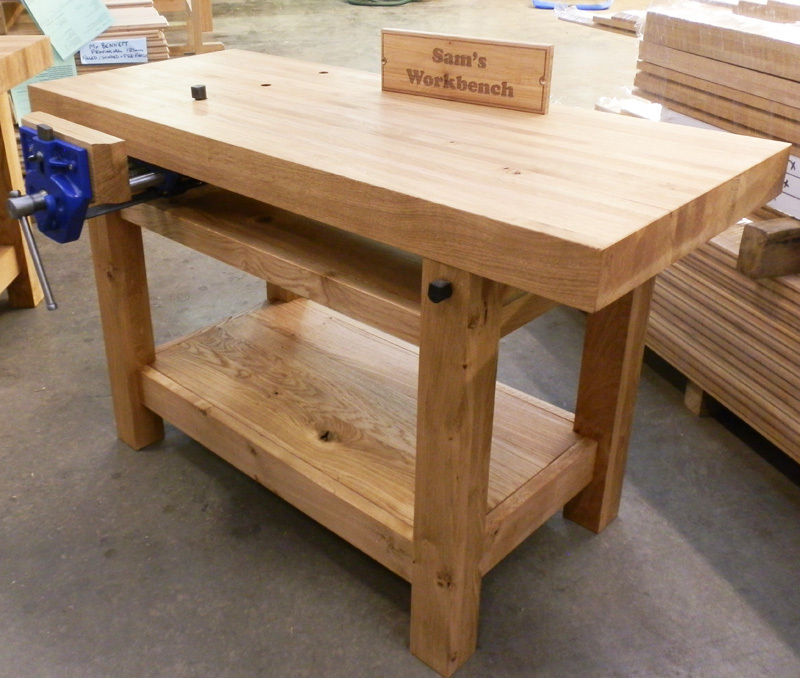 Each bench is a scaled replica of a full-sized workbench, complete with fully-functioning vice. The workbenches are truly beautiful, the two Sams are sure to be thrilled on Christmas morning. Maybe after some training from their respective Dads, the two boys may be able to help out with some orders!